Soon the workman finished his work. The people were able go along the road again. The workman thanked the four friends for their help. 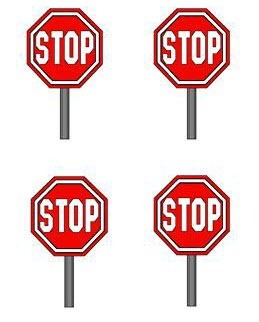 He gave them each the stop sign they had held. Now it was late in the afternoon. The four friends needed to go home. They turned around and went back up the road.